Being a mom is a full-time job itself, so if you’re also working, then your time is limited. When you factor in working all day and then washing your little one’s hair, things can get tricky. As parents, time management can be challenging when it comes to wash day for our little ones. Are you looking for ways to make wash day easier and still have some time for yourself? 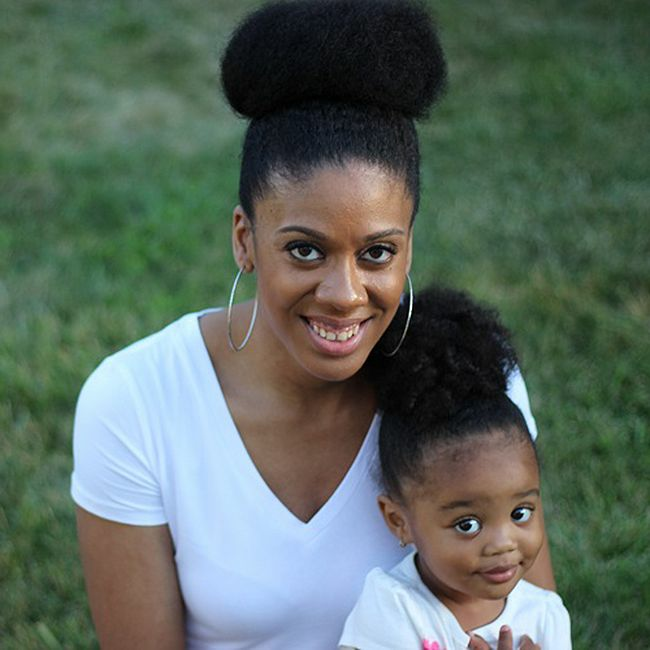 Here are a few tips for busy moms caring for their little one’s hair. You don’t have to use a ton of products to get your desired results. Use your leave-in conditioner for multiple uses. You can use a leave-in conditioner to first detangle your hair before washing and apply it after to retain moisture. Find out what works for you and cut out the excess. Wash day doesn’t have to be difficult. If you create a simple regimen for your child you will save time. Make sure your wash day regimen includes the basics of detangling, shampoo, conditioning, moisturizing and styling. You can modify your child’s regimen to include only what works best for you. Just make sure that you never skip any steps, this may make your job harder in the long-run. Also washing every two weeks may work better for you than once a week. You have to find what works best for you and stick to it. When you are a busy mom, sometimes you don’t have time to style your child’s hair on a daily basis. Simple hairstyles like chunky twists, buns, and ponytails work best. My biggest time saver most days is styling my daughter’s hair in mini twists. This style will last up to a week and I don’t have to re-style her hair in between. It really saves time and also helps to retain length, because I am not manipulating the hair every day. Just remember when doing any style, it’s still important to keep the hair moisturized daily, so continue to spritz with water or diluted leave-in conditioner to prevent dryness. I will admit that I am not the most organized mom in the world, but being organized really helps with time management. If you plan wash day and organize all the tools and products that you need, it will help make your child’s wash day go quicker. Keep everything in one place, stay on track, and you will be on your way to a quick wash day with a few minutes to spare. Scheduling wash days helps and feels less overwhelming, because you’re expecting it. If I have learned anything, it is that consistency works. If you are consistent with your child’s regimen, stay organized, and stick with simple styles, then you will save a lot of time. Your child will be used to the schedule and there will be less fuss. Wash day and styling don’t have to be a hassle when you are a busy mom. What wash day and styling tips do you have for busy moms?